May the mourners be comforted among the mourners of Tzion and Yerushalayim. March 26, 2019: With profound sorrow, we mark the passing of Mr. Donald Kornspan, A"H, beloved brother of Charlene Winer. March 26, 2019: With profound sorrow, we mark the passing of Mr. Gilbert Polinsky, A"H, beloved husband of Harriet Polinsky. March 13, 2019: With profound sorrow, we mark the passing of Mr. Henry Kuhn, A"H, beloved father of Jackie Friedman. March 2, 2019: With profound sorrow, we mark the passing of Mrs. Robin Fass, A"H, beloved daughter of Roz and Sy Endlich. February 16, 2019: With profound sorrow, we mark the passing of Mrs. Bernice Metzger, A"H, beloved sister of Estelle Glass. February 5, 2019: With profound sorrow, we mark the passing of Aryeh Leib, A"H, beloved father of Cindy Halbstein. 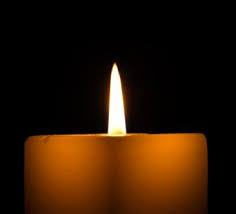 January 31, 2019: With profound sorrow, we mark the passing of Mrs. Judith Golzman, A"H, beloved mother of Steven Fessel. January 29, 2019: With profound sorrow, we mark the passing of Mr. Samuel Isaac Rosen, A"H, beloved father of Adam Rosen. January 27, 2019: With profound sorrow, we mark the passing of Mr. Philip Moskovic, A"H, beloved father of Sandy Tokayer. December 31, 2018: With profound sorrow, we mark the passing of Rabbi Yisroel Fishweicher, A"H, beloved father of Abe Fishweicher. December 27, 2018: With profound sorrow, we mark the passing of Mrs. Annette Alter Behar, A"H, beloved mother of Miriam Benkoe. December 16, 2018: With profound sorrow, we mark the passing of Rabbi Chanina Herzberg, A"H, beloved sister of Sharon Maslow. December 12, 2018: With profound sorrow, we mark the passing of Mrs. Sylvia Fishbein, A"H, beloved mother of Larry Fishbein. December 3, 2018: With profound sorrow, we mark the passing of Mr. Samuel Amrani, A"H, beloved father of Dr. David Amrani. November 12, 2018: With profound sorrow, we mark the passing of Mrs. Claire Kuhn, A"H, beloved mother of Jackie Friedman. October 31, 2018: With profound sorrow, we mark the passing of Mrs. Pnina Schacter, A"H, beloved mother of Rabbi Dr. Jacob J. Schacter. October 3, 2018: With profound sorrow, we mark the passing of Mr. Steven Friend, A"H, beloved husband of Susan Friend. September 16, 2018: With profound sorrow, we mark the passing of Mr. Avi Ringelheim, A"H, beloved husband of Minna Ringelheim. August 19, 2018: With profound sorrow, we mark the passing of Mr. Murray Frank, A"H, beloved husband of Sadie Frank. August 4, 2018: With profound sorrow, we mark the passing of Mr. Lawrence Turkel, A"H, beloved brother of Eddie Turkel. April 28, 2018: With profound sorrow, we mark the passing of Mrs. Harriet Katz, A"H, beloved mother of Steve Katz. April 15, 2018: With profound sorrow, we mark the passing of Mr. Sol Gelb, A"H, beloved father of Marilyn Wallach. March 11, 2018: With profound sorrow, we mark the passing of Mrs. Cecilia Cygler, A"H, beloved sister of Joachim Rudoler. March 6, 2018: With profound sorrow, we mark the passing of Mr. William Levy, A"H, beloved father of Lorraine Schmidt. March 5, 2018: With profound sorrow, we mark the passing of Mrs. Shoshana Bilowit, A"H.
February 7, 2018: With profound sorrow, we mark the passing of Mr. Steven Weiss, A"H, beloved brother of Marty Weiss. February 2, 2018: With profound sorrow, we mark the passing of Mr. Harry Steingart, A"H, beloved husband of Gloria Steingart. December 25, 2017: With profound sorrow, we mark the passing of Mrs. Leah Ringelheim, A"H, beloved mother of Avi Ringelheim. November 23, 2017: With profound sorrow, we mark the passing of Mr. Alexander Orlow, A"H, beloved brother of Steve Orlow. November 21, 2017: With profound sorrow, we mark the passing of Mrs. Marsha Hollander, A"H, beloved mother of Miriam Gamzon. October 24, 2017: With profound sorrow, we mark the passing of Mrs. Jean Turkel, A"H, beloved mother of Eddie Turkel. October 15, 2017: With profound sorrow, we mark the passing of Mr. Irwin 'Yitz' Bienstock, A"H, beloved brother of Barbara Schreck. September 13, 2017: With profound sorrow, we mark the passing of Mrs. Taube Gurland, A"H, beloved mother of Rachel Frishberg. September 2, 2017: With profound sorrow, we mark the passing of Mr. Leonard Spector, A"H, beloved husband of Linda Spector..
August 31, 2017: With profound sorrow, we mark the passing of Mrs. Florence Oppenheim, A"H, beloved mother of Danna Kossowsky. July 25, 2017: With profound sorrow, we mark the passing of Mr. Morty Weiser, A"H, beloved father of Linda Gruenbaum. May 25, 2017: With profound sorrow, we mark the passing of Mrs. Etta Weinglass, A"H, beloved mother of Cookie Greene.